After losing more than $100 million in 2018, former Goldman trader and bitcoin permabull Mike Novogratz's Galaxy Capital is backing a fintech startup that is luring crypto depositors by promising what some critics have warned is an unrealistic interest rate. BlockFi - its name an obvious riff on Silicon Valley loan refinancing service SoFi (which brought us the zero-fee ETF) - is offering crypto investors interest rates as high as 6.2% annualized (roughly 3x higher than 120 JPM CDs) to park their bitcoin and ether with the firm. BlockFi hopes to generate returns on those deposits by offering high-interest crypto loans in the "institutional crypto borrowing market," Bloomberg reported. If the advertised rate seems high, that's because - as one critic was quick to point out - it is: customers who read the fine print will quickly see the BlockFi has total discretion to change the offered interest rate from month to month, despite claiming that it expects the rate to move inversely to the price of bitcoin (as prices rise, the rate would fall, and as prices fall, the rate would rise) because "demand [for loans] is driven by market sentiment". "We expect the interest rate in the account to be higher in times when prices are falling, and lower when prices are rising because demand to borrow Bitcoin is partially driven by market sentiment," said Prince. "We are bullish on the cryptocurrency market and on Bitcoin long term," he said, which would ultimately result in lower interest rates. 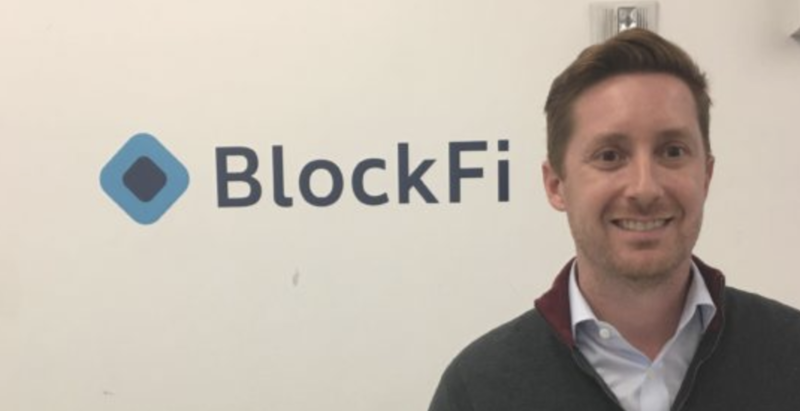 But so far at least, BlockFi has lured 10,000 customers, mostly comprising large-dollar accounts, with a total of $35 million in deposits, and an average account size above $40,000. But that doesn't mean the company will adhere to its 'promise' not to cut interest rates to zero - or even taken them negative. BlockFi's response to these criticisms was simple: Breaking users' trust would be "bad for business." "A superficial review of their splash page and their terms and conditions shows that their advertising is not necessarily what they’re guaranteeing," said David Silver, founder of the Silver Miller law firm in Coral Springs, Florida. "As a securities fraud lawyer, my job is to protect people who are misled into misrepresented investments; and it’s understandable why people would be confused if they didn’t receive their 6.2 percent because BlockFi’s advertising makes it seem like that’s a guaranteed rate of return." BlockFi has been open about this and the rate will “definitely” change in the future, said Prince. "The way that it works is we will announce rate changes in advance of the change happening and they won’t go into effect immediately," he said. "We didn’t launch with a 6 percent rate with the intention of changing it one month later and pulling a big gotcha on everybody. That would be really bad business." Plus, as the collapse of QuadrigaCX reminded crypto traders, just because somebody has a good reputation, doesn't mean your coins are 'safe' with them (though it's worth noting that the Winklevoss-backed Gemini is purportedly offering secure custody services for institutional crypto firms). With BlockFi, depositors would have no recourse if the firm's borrowers default or if it is the victim of a hack. Though these risks aren't exactly spelled out for its customers. "It struck me that it could be misconstrued by unsophisticated retail investors," said Tim Swanson, founder and head of research at PostOak Labs. "In order to use some of this cryptocurrency technology, you have to be a little bit tech savvy." But BlockFi says risks related to its products are obvious - and have been part of the crypto market for a while. "It’s systemic risks," like failure in the Bitcoin blockchain that could push prices down an order of magnitude more than it previously has, said Prince. "In our terms and conditions, we have thorough, bold print sections on risk disclosures." "pause", interest rates more broadly appear set to remain lower for longer, too irresistible to ignore.